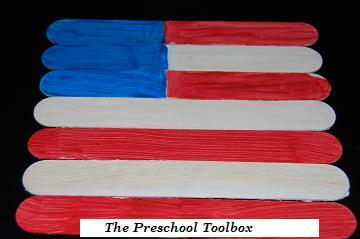 8 Patriotic Theme Activities for Preschool and Kindergarten! 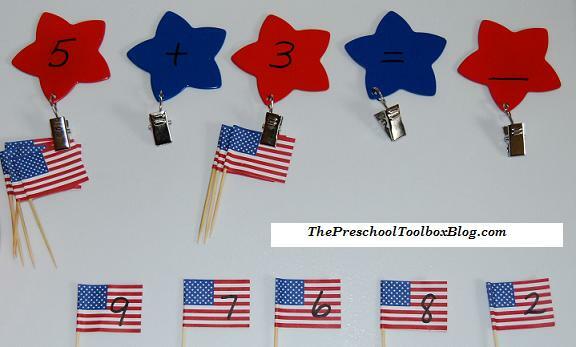 Stars and Stripes Math -Patriotic Stars Materials needed: One Patriotic Stars file (print to heavy paper and laminate for durability) OR purchase star tablecloth weights, red/white/blue paper squares or flag toothpicks, and a permanent or dry erase marker. We found the flag picks at a garage sale last summer and the table weights at our local dollar store. The tablecloth weights have a clip … [Read more...] about 8 Patriotic Theme Activities for Preschool and Kindergarten! Fun Sunshine Crafts to make the Summer Last! 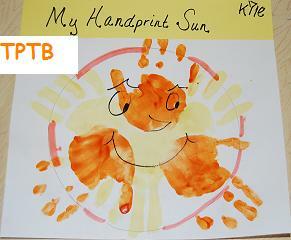 PAINTED HANDPRINT SUNSHINEDraw a large circle on a white sheet of paper. Make a DOT in the center of the page as a guide for the handprints. Invite the children to use a small paintbrush to paint the palm of one hand with washable tempera paint (our kids used orange and yellow.) 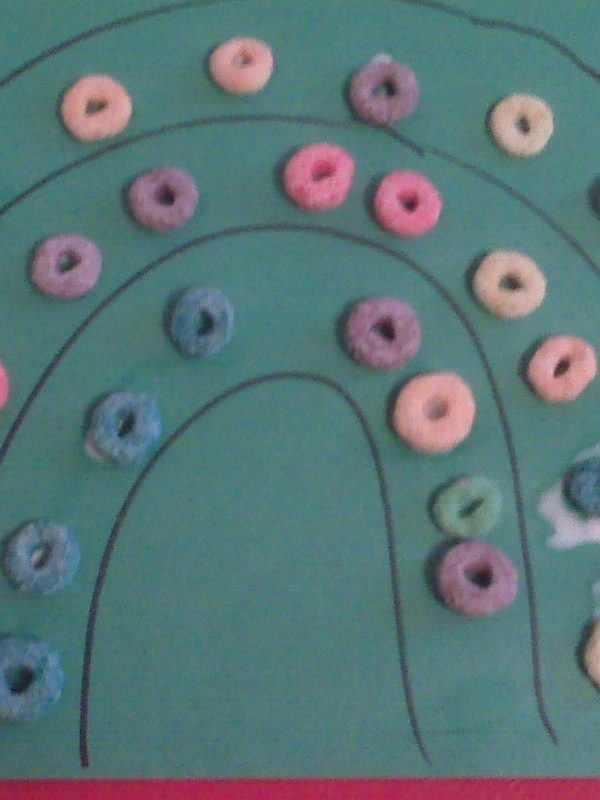 Make handprints in a circle, turning the page to make the prints (younger children will need assistance). Let … [Read more...] about Fun Sunshine Crafts to make the Summer Last! 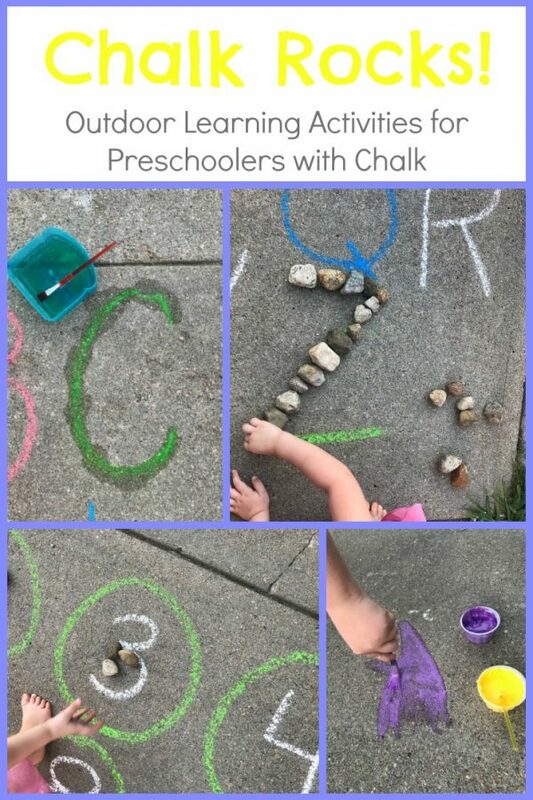 Summer Activities for Learning and Playing with Preschoolers! Summer is a wonderful time to Play and Learn with your children. The summer activities below are sample ideas taken from the SUMMERTIME theme that will be available via this blog in 2014! The unit includes 4 complete themes: Bubbles, Patriotic, General Summer, and Beach. Kids getting bored already?Summertime SortingSet out two baskets in the middle of the room. Label one SUMMER and … [Read more...] about Summer Activities for Learning and Playing with Preschoolers!